Please Note: There is no easyBus ticket desk at Gatwick Airport, please go straight to the bus stop shown on your ticket. Coaches leave from the lower forecourt at the south terminal. Follow the signs from the terminal to the lower forecourt the coach will leave from stands 1 and 2. Pick-up and Drop-off points are on Lower Forecourt Road, stands 4 and 5. Oxford Gloucester Green Bus Station is the major Bus destination in Oxford allowing easyBus passengers to easily and conveniently connect with addition local and national bus services. 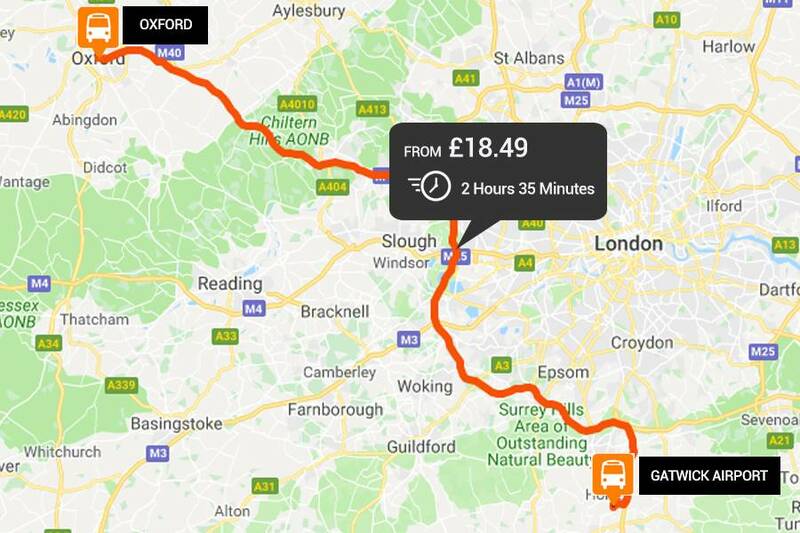 The Bus Station is also only a 5 minute walk from Oxford’s City Centre leaving passengers within a stone’s throw of the city’s shops and tourist attractions.